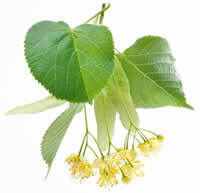 Linden has a pleasant, mild flavor and gently calms stomach and nervous upsets, warming body and soul. Recipe Instructions: Herbal Tea :Use 1 teaspoon of dried herbs to each cup of hot water. Infuse in a covered container for 10 minutes. Anxiety :There are many herbal remedies that can support relaxation, ease anxiety, and help us regain balance.